Hicks Hiking: It Depends What You Mean By "Nice"
It Depends What You Mean By "Nice"
I sat in the lobby of a five-star hotel in Makati, sharing afternoon coffee with two local friends, Jack and George. I've just returned from Marinduque, the island Province I have represented these many years, and we are discussing how my trip went. I tell them about how I made my usual rounds, visiting the cathedral, the local environmental NGO, and the local government. Stakeholder engagement has always been my job, and the bulk of my time is spent sitting around a table talking to people. I actually really enjoy it, and it has given me a chance to get to know a good many people over my eight years of trips there. Of course, I mention the adventure that is getting to the island--with the airport under construction, travel to Marinduque involves four-plus hours in a car to a port city called Lucena, followed by three and a half hours on a large, slow-moving ferry (the "RoRo" to the locals), and a 45 minute drive to the Barangay of Lupac, to the Governor's home, where I typically stay. The return trip is roughly the same. Amid the conversation, George asks, "is Marinduque a nice place?" I hesitate for just a moment, deciding how to answer. Honestly, I was thinking "depends what you mean by nice." But then, any response from me becomes moot. "Yes," Jack says, "Marinduque is a very nice place." He said it certainly, without any hesitation. 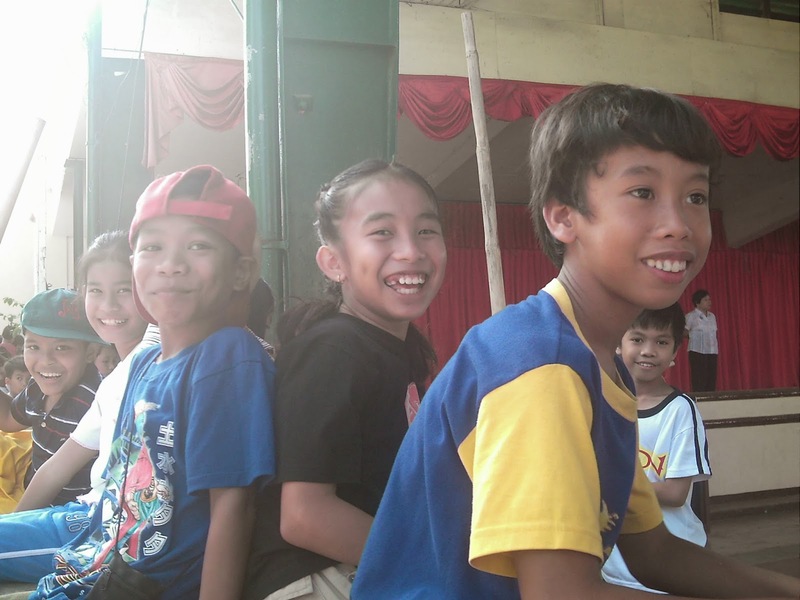 Jack explained to George that Marinduque is nice because the people are kind, they work hard, and they are honest. He told the story of a colleague who left his laptop on the RoRo by mistake once, and went back a day later to find it was still there. He talked about hospitality, a warm welcoming spirit, a strong sense of values "not like Manila with strip clubs on every corner." (I confess, I chuckled a little at that one.). He said "life is simple there," with a kind of nostalgia that made my heart ache and warm at the same time. Then I felt ashamed. Ashamed that while my first thoughts were similar to Jack's, my second thoughts, the reasons I hesitated, were all extremely material. I thought about the lack of infrastructure, the rolling brownouts, the lack of running water in many places. I thought of the difficulty people have obtaining what I consider basics--internet, television, meat you don't have to catch yourself. 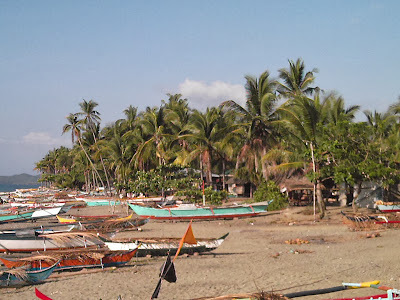 But listening to Jack made me realize that I was looking at Marinduque with a profound sense of snobbery. It's not even honest. I actually love the time I spend on the island. But I was thinking "would my friends from the states want to spend time here?" and the answer for many is no. They'd consider it primitive. But at the end of the day, that is our problem, not theirs. Jack is right, and Marinduque is the right kind of nice. The people of Marinduque, and most people I meet in the Philippines, have this joie de vivre that I don't often see among my friends here at home. We worry over the right schools, the right cars, the right homes, the right foods for our kids, and sometimes we worry so much we aren't even grateful that we have schools, cars, homes, and food for our kids when others don't. But they get it. They appreciate everything they have because it is hard to come by. Because it is a blessing. And they share their blessings with the people around them because they know tomorrow they may be the ones in need of help. That's why, even though my beloved Philippines is devastated today, I know it will rebound. I've seen it. I weathered a Category 5 super-typhoon (Reming) on Marinduque, and saw resilience in the days that followed. I watched as the people regrouped, pulled together whatever goods they had left and sent them to the people stranded by debris in the upper parts of the island (I helped too, though they were a far greater blessing to me than I was to them). Reming was nothing compared to the devastation of Haiyan (Yolanda to the Filipinos), but I already see the same spirit in the way the whole country has rallied around their brothers and sisters in Tacloban, Leyte and other devastated places. I'm just so pleased to see other countries, including my own, join in the huddle. Joy, gratitude for life, makes the people resilient. It makes them pick each other up and rebuild every time life throws an obstacle in their path. It's because they appreciate life for what it is--a single breath, a day with loved ones, a time to help others--rather than focusing on things they might not have. In this week of Thanksgiving, we would do well to take our cues from the Filipinos. However much or little we have, it's a lot to be thankful for.